I think you might find it's the 5th to 9th (5 days). But will wait for the official response. Yes Stu is correct the dates are 5th to 9th. Will update the poster shortly. Sorry. Good job WA team getting it sorted. A few QLD'ers working on the logistics to get over there! Yep great to have National's on again this year, so thanks to those involved over there in WA. 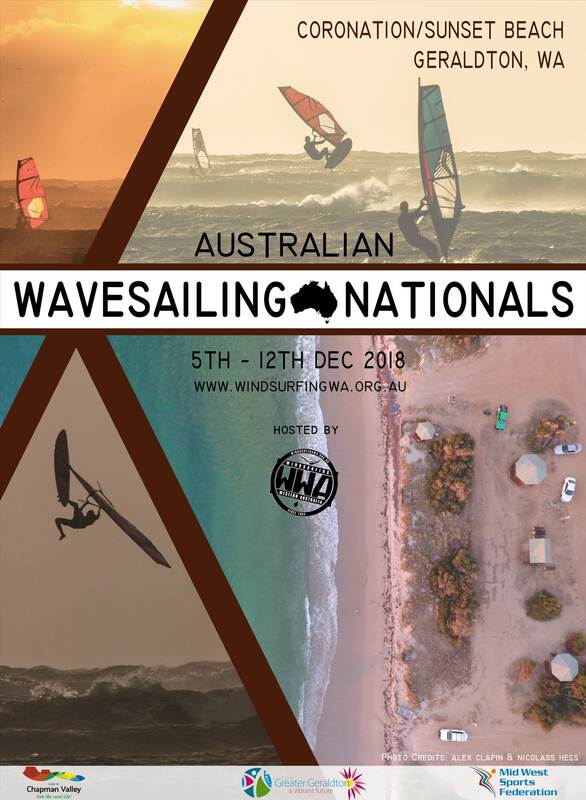 Flights booked, for myself and my 2 young blokes for their first windsurfing trip to WA. For any Queenslander's thinking about coming across Qantas have a sale on until the 12 June, $400 return up to the 12th Dec for return which is bloody great deal. good to hear you and the frothers are going Tim. I've just booked my accomm at Sunset caravan park, are you staying there? Tim, What vehicle are you hiring? The Fam want to tag along so need something larger for them and kit. The Geraldton Wavesailing Nationals website is live and registrations are open! Check it out! A little off-topic, but possibly relevant... does Goodies or Oakabella have Mobile phone coverage ? ^^^ Unsure but can check for u in a few days? But don't you bring that thing on a pole that exceeds NASA and Milspec standards for intercontinental comm's in the midst of a solar flare? Can anyone recommend a sail maker in Geraldton to repair a 3.6m kids sail next week, as not going to have time to get it done here before we head across to WA this weekend. Best windsurf sail repair in WA IMHO is Jesper (sailrepairwa.com). His workshop is based in the Perth suburb of O'Conner. Maybe give him a call to see what his workload is. Thanks fellas, I'll try Mick as heading straight north when we land Saturday...is it Mick Steffan? Sorted and yep will see you Tuesday either on the water or to blow the froth off a couple of cold ones!